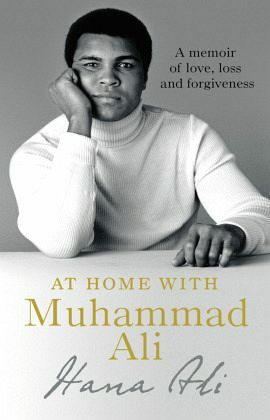 At Home with Muhammad Ali is an intimate, behind-the-scenes portrait of a legend, a man admired and respected as the greatest sporting icon of our age, written by Ali's daughter Hana. As Muhammad Ali approached the end of his astonishing boxing career, he strove to embrace a new purpose and role in life beyond the ring. It was a role that would see him take centre stage as an ambassador for peace and friendship, whilst at the same time attempting to find balance and harmony with his many commitments and responsibilities as a husband, devoted father, son and friend. In the 1970s Ali began recording a series of audio diaries, mostly in his LA home. Through these private tapes, as well as personal journals, love lettersand many never-before-seen photographs, we discover Ali the family man and see how, despite the complexities of his personal life, he went to extraordinary lengths to keep all of his nine children united and to help others - be they family, friend or stranger. We also hear of the everyday adventures the family experienced, with visitors such as Michael Jackson, Clint Eastwood and John Travolta dropping by. Candid and revealing, At Home with Muhammad Ali is more than Hana's family memoir. It is a moving and poignant letter of love and affection from a daughter to a father. Hana Ali is the third youngest child of Muhammad Ali. She is the author of three books, including The Soul of a Butterfly, which was published by Bantam Press in 2004. She was a behaviour specialist working with autistic children for ten years and is now a Realtor. She lives in Los Angeles with her husband Kevin Casey. "How wonderful, after decades of thoughtful but at-a-distance portraits of Muhammad Ali, we have this exquisite and movingly intimate one. His daughter, Hana, has permitted us all to fill out—with love—our own sense of the real man behind all the mythology. This is a hugely important addition to our understanding of the Greatest of All Time."